Marius Street Family dental has served the Tamworth community for over 70 years. As a family owned business, we are here to provide you peace of mind for your dental treatment. We now offer Zip Pay as well as other payment plan options. We can work with your individual dental needs to find the best plan. Check out our new crown milling machine in the patient lounge, meaning your crown doesn't have to go to Sydney to be made. Tamworth's only myofunctional training center; we do so much more than just look at your child's teeth. Happy Gas (Nitrous oxide) now available. Read more about how we can help make your appointment more comfortable. Zip pay and other payment plans available. Read more. State of the art 3D xray unit (CBCT/Tomograph) and CEREC unit for digital scanning, design, and same day crowns. Many patients are nervous about seeing a dentist. Our friendly teams mission is to create a pleasant and positive experience for you and your family. Marius Street Family Dental unifies general dentistry with implants, orthodontics, smile reconstruction and cosmetic design all under one roof, giving you the benefits of integrated assessment and more choice in a much more cost-effective manner. We don’t ever want to be a “boutique” or high-fee practice: we give you the best value by tailoring to your Budget, Needs and Wants. We focus on function first but always keep cosmetics in mind – in the end you get both. Min’s philosophy is “Do it once, do it well”. Look at the big picture, find and treat the cause rather than just the symptoms. Having suffered from severe headaches and neck pain herself, she learnt this first-hand that the whole body is connected. Min is not a specialist and does not want to be as she wants to continue to broaden her knowledge beyond dental: assess headaches, airway, posture, jaw joint pain, breathing issues and more to give you the best possible integrated plan. Min was the first general dentist in Tamworth to perform this procedure. She has placed over 1000 different implants suiting individual needs. 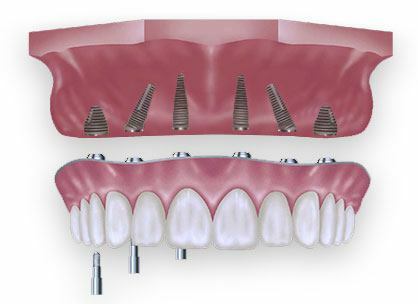 We have many implant systems available in our practice and offer mini implants, implants to help support your denture, implants to replace one tooth, several teeth or completely replace your denture! Why do children grow up to need braces? Treat the cause of the problem and help your child to grow and develop correctly. Read more here. Tamworth’s only dental clinic designed specifically for children!